Anyone can be a superhero. Not only are Batman and Superman heroes, but so are police, firemen, and doctors. But what about children? 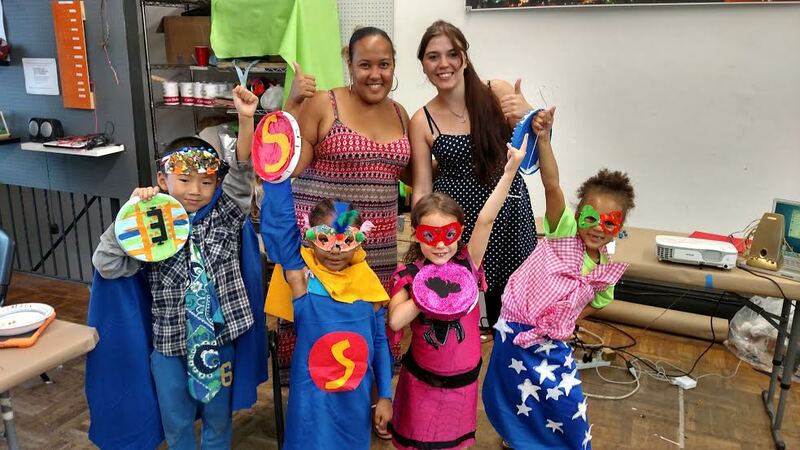 Superheroes Assemble, a week-long program from Assemble Pittsburgh, teaches kids ages 6-8 that they can be superheroes. 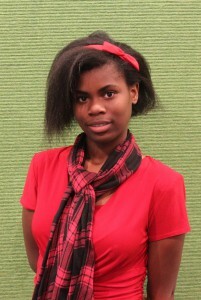 With the help of two instructors, Angel and Fabienne, their young creative minds were put to the test. 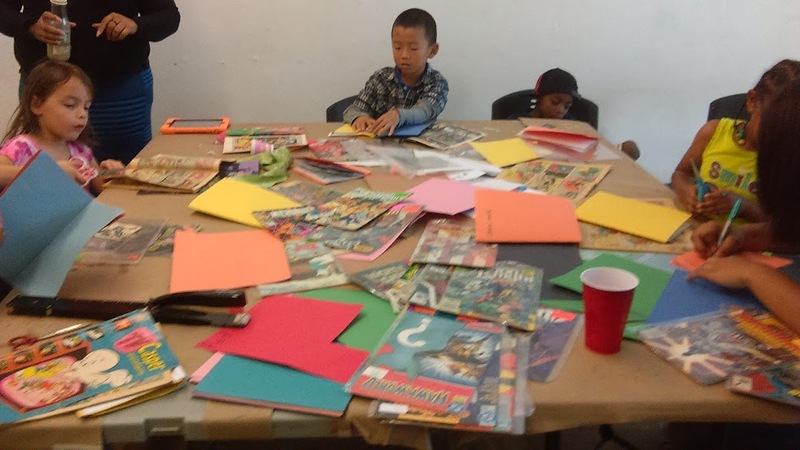 The week-long program included lots of fun activities, some of which were based on real comic book superheroes and others that were original. For example, they made antemeters, masks, and chalk figures based on a comic book hero. Not only were their projects based on superheroes, but also got to create projects based on villains! Most of their projects were made by hand, such as their own costumes or masks. Besides doing fun projects, they also got to be a superhero in daily life. The kids learned that you don’t have to have superpowers to be a hero. You can be a hero around your neighborhood by recycling, for example. In addition to completing projects and learning about everyday superheroes, the students took field trips to learn about different subject areas. For example, on Wednesday, July 15, they visited Boom Concepts, an art gallery a few blocks down from Assemble, and learned about different types of art. When I came in on Thursday, July 16, they were making thank you cards for Boom Concepts. Through Superheroes Assemble, students learned that anyone can be a superhero, even if they don’t have superpowers.